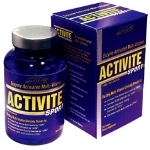 Get FREE 2-Day Shipping* When you purchase this product. THE ONE PROTEIN BAR: Congratulations, you've found the ONE. Protein bar, that is. Indulge your caramel cravings guilt free with our Salted Caramel Gluten-Free protein bar. With 20g of protein & only 1g of sugar, this is a caramel snack you won't regret. GLUTEN-FREE PROTEIN BARS: There's nothing to feel guilty about in these Gluten-Free protein bars, so you can always give into your cravings. Stressful day? Pre-workout snack? Late for work? 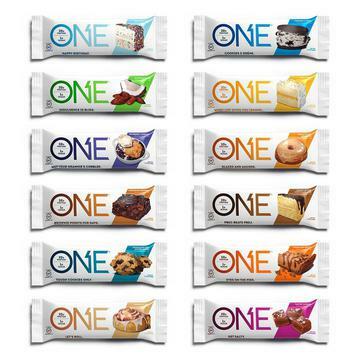 Grab your ONE protein bar for low sugar, guilt free snacking. HIGH PROTEIN, LOW SUGAR, NO REGRETS: Whichever flavor you grab, from salted caramel to peanut butter chocolate cake, you'll be getting 20g of protein, 1g of sugar, & 0 regrets. Our gluten-free bars are a guilt free snack when your energy is low. TOO GOOD TO BE TRUE SNACKING: At ONE, we believe that great taste & great health can be the perfect match, which is why we created the ONE Protein Bar. Low sugar, high protein & highly indulgent flavor make this protein bar the one you'll keep eating. ONE PROTEIN BAR IS THE ONE: You won't be disappointed when comparing our bars to bars by brands like QUEST BAR, Gatorade, Pure Protein, Clif Bar, RXBAR, Quest Bar, Think Thin, Optimum Nutrition, Power Crunch, MusclePharm, Premier Protein, Kind, Lara Bar & PowerBar.